Choosing the right anti virus software for you computer can be confusing. This is a guide about anti virus software information and reviews. Microsoft now has a free virus program called Microsoft Security Essentials. I have been using for quite sometime - I love it and it is free! It doesn't replace virus or spam software, but does a super job of trying to keep your PC running in top shape and it's easy to install. I use the JAWS screen-reader, and currently use AVG Pro for anti-virus protection. My current license expires in March 2011. A friend recently switched from the AVG free version to Microsoft Security Essentials, which is also a free download. My friend doesn't use a screen-reader. A techie I know said the MS download doesn't have any known problems with Window Eyes, so should work with JAWS. I'm strongly considering the switch, but I'm hesitant. I'd appreciate any input from any tech-savvy TF'ers out there. I have been using Microsoft Security Essentials for several months, and find it does detect infections, and is a reliable product. MSE was made when Microsoft took over an antivirus company (I think it was called Big). When you go for Microsoft Security Essentials make certain to go through Microsoft for it. There is a copycat that will use as malware with the same name. So call Microsoft to be certain you are getting the real deal. You can install it and if you don't like it you can uninstall it. Personally I use Avast which is free as well and I have never had virus problems. But do what you think you would be most comfortable with. 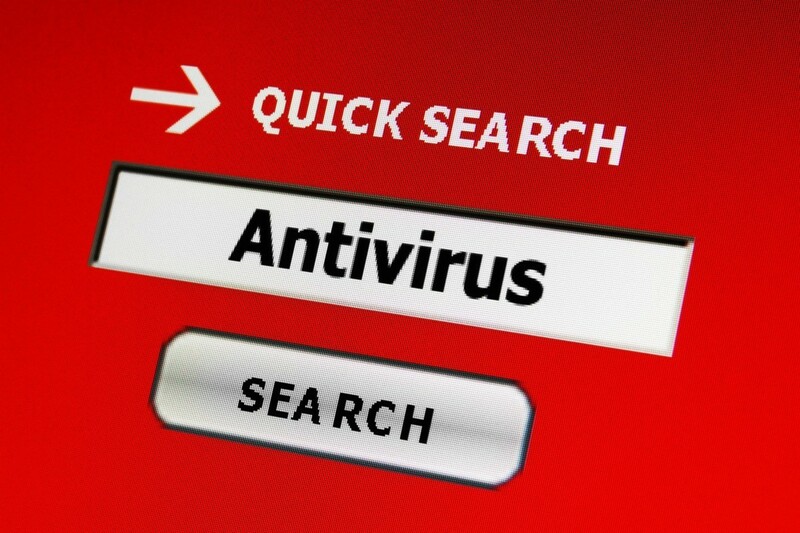 You may even be able to run more than one antivirus program as long as they don't detect each other as a virus. I too have avast and I've never had anything get through. I also use malwarebytes, and spybot search and destroy and have windows firewall set up. when i had AVG, spybot picked up a few things that AVG missed but that's just my experience. Here's the key thing you need to remember when switching anti-virus software of any kind. You need to make sure it is totally uninstalled(off of your hard drive and out of your registry) before you install the new anti virus software. My advice would be to follow AVG's uninstall instructions, then run a registry cleaner tool of some kind to make sure AVG is truly all stripped out of your registry. Then install your new virus software. If you do have conflicts with the new software and Windows Eyes, you can always uninstall the new virus software and reinstall AVG. Thanks for all the input so far, this subject is far from closed! I'll remember to use the AVG uninstall feature, then do a disc cleanup and defrag before I do anything else. Thanks to an AVG tech, I remember how to go into my hard drive to remove bits and pieces of programs that might get left behind. As for running two anti-virus programs on the same system... a tech at the company that built my machine advises strongly against it. I plan to follow her instructions to avoid conflicts. This subject is open until about the first of the new year, though. Any more input, please let me know. Thanks! We run Microsoft Security Essentials and have had absolutely no problems. Another good antivirus to run is Panda Cloud. The nice thing about Panda Cloud is that you never have to update it. It runs in "cloud" - sort of like every time you get on the internet the page you are going to goes through the cloud (out on the 'net) before it gets to your computer. There is no slowdown, etc., you never know it's even there. http://www.cloudantivirus.com/en/ Be sure and click on Play Video which explains it. I used MSE for several months but found that it was interferring with my Trojanware, so MSE had to go. Has anyone out there had experience with a pop-up virus - Anti-virus 2009? I delete it constantly but it keeps recurring. It's seems like it's trying to take over my computer. Any ideas on how to get rid of it? Thanks. used this on a friends computer that had 4 trojans in it. Hope this might help those that you posed today. then prompt you to press any key to Reboot. You can Google Anti-Virus 2009 and read various sites to get rid of it, but some are very complicated. I just did a system restore to when I knew I didn't have it and it worked. I tried for about 6 hours to get rid of it before I read that hint. Good Luck! There are many applications out there who's developers claim to be anti-virus / anti-malware applications but really are just malware themselves in some cases. I strongly recommend using Spybot. Spybot will clean these products off of your system. Just remember to update and immunize once a month and occasionally do a scan to check for problems. Updating and immunizing is extremely important to stay safe. With Windows Vista you have to remember to right click the spybot icon and click 'run as administrator' when updating and immunizing. If you are looking for an EXCELLENT anti-virus application I recommend trying Avast!. Very effective, very free. Superior to other free antivirus apps. Between the two, you will be well protected and they cost you nothing to use. Both Spybot and Avast! not only are free, but they both protect you no matter what web browsers you use. Avast requires online registration but all you have to do is submit your email address and they'll email you a product key. Try this link. I think it will probably solve your problem for free. I am using Spybot to remove Anti-Virus 2009 from my computer. Very annoying & time consuming to figure out how to deal with it. My daughter was searching for pumpkin carving stencils alas this arrived on the scene. AVG and AdAware did not catch any of this! Thanks to Spybot and this website for letting me know it's safe to use and works! I'm infected with this and AVG, Spybot, as well as Spyware Doctor find infected files and delete them, but it won't make the Antivirus 2009 go away. On top of that I cannot get the Malwarebytes or Ad Aware to scan my computer, they just lock up and sit there. I am getting so frustrated with this! Question: How Safe is Downloading Antivirus Software Trial Packs? How can I delete Microsoft anti virus from my computer completely so I can use my new provider's anti virus program? Start button>Control Panel>Add or remove programs. Click on the anti-virus program and then remove. Believe me...I just rebuilt a computer from a salvage and had to delete several items that was making my computer slower than syrup...LOL! In Vista ... start> control panel> programs & features> click on anti-virus program to uninstall. In XP ... start control panel> add/remove> click on anti-virus program to uninstall.